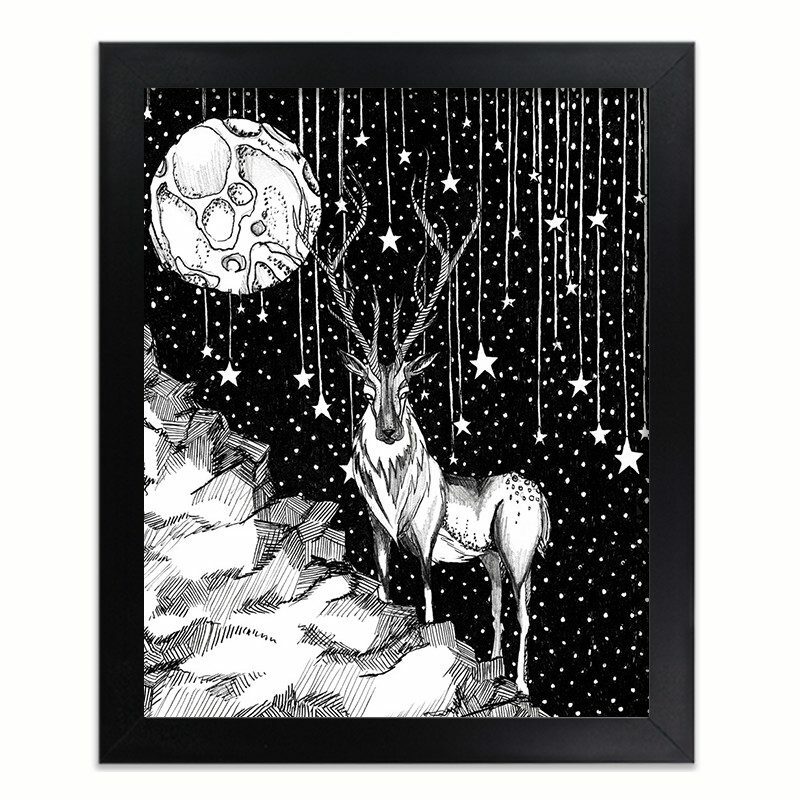 FROM THE ARTIST: The stag under the stars was completed using only black fine liner. I found this piece very calming as it took me a long time to color the black around all of the stars and circles. 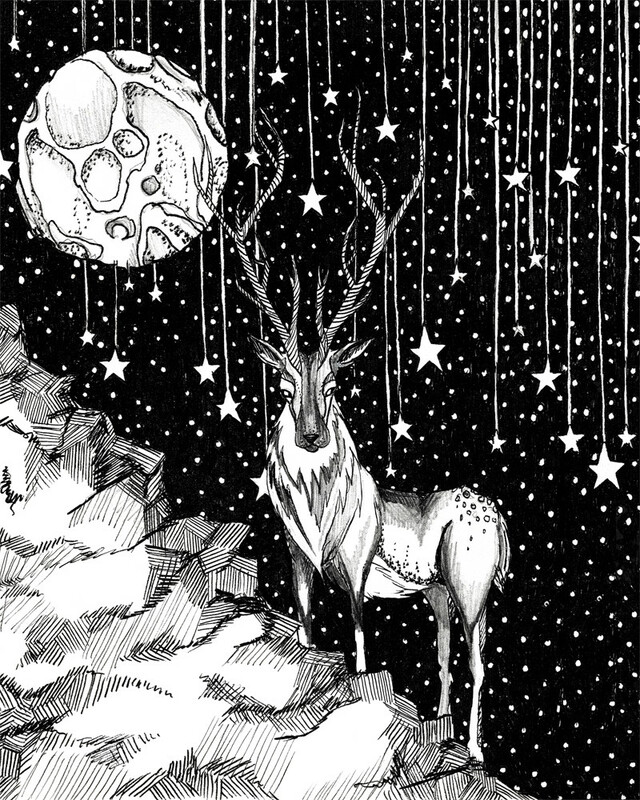 In this illustration, I was experimenting with different marks, making styles to make up a final sketch. 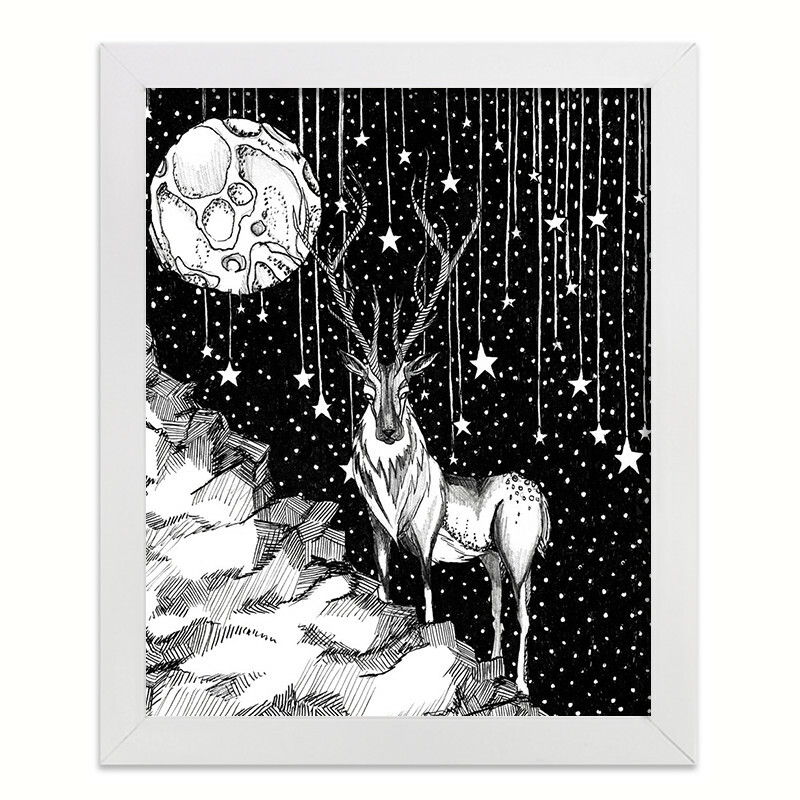 I like to draw to relax and escape into my own reality and I imagined a patterned stag under a beautiful starry night sky.